Did you know that some of the earliest combat images were captured on personal pocket cameras by professional soldiers (amateur photographers), not by official or professional photographers? Remembrance Day and Veterans Day were originally designated to observe the end of World War I on November 11, 1918. Over the decades, it’s become clear that the war to end all wars was not to be the last. 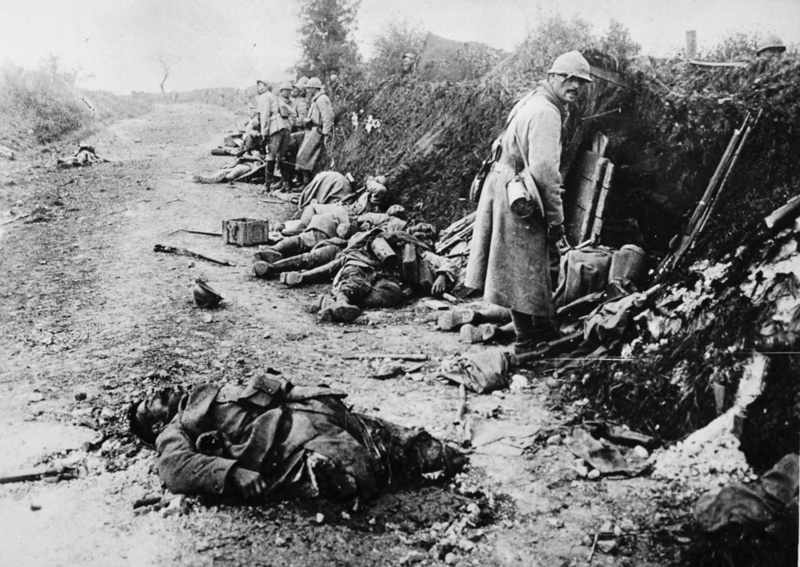 November 11 has since become a day to remember casualties of all conflicts. 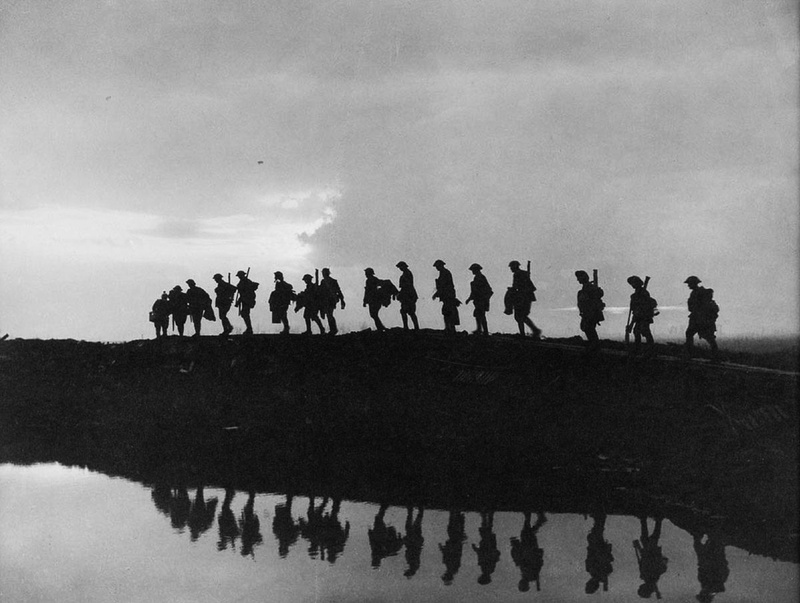 This year is the 100th anniversary of the end of World War I. 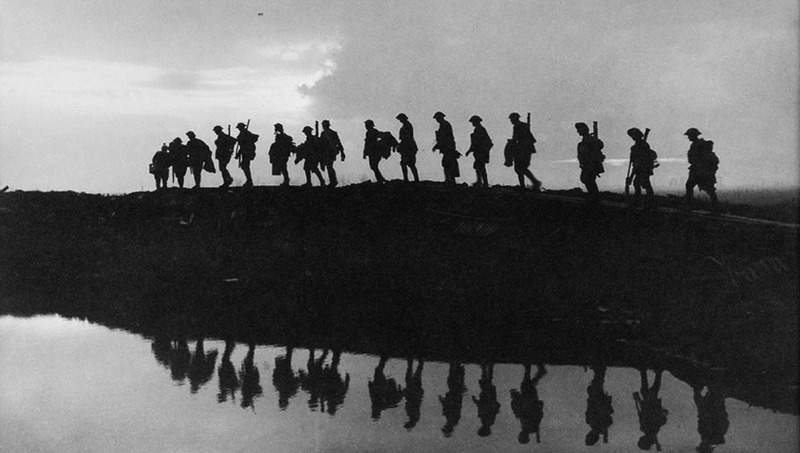 It seems timely to take a look at how the photography that came out of World War I has influenced photojournalism since. Note: some images below are graphic and may be disturbing. The rise of photography in the early 20th century meant that newspapers needed photographs to sell papers. Similarly, most militaries appointed official photographers to capture images that would help to tell the propaganda stories their governments wanted. Frank Hurley (of Shackleton fame) was asked by the Australian armed forces to spend a significant amount of time in the blood and the muck at Ypres. Following closely in the footsteps of Roger Fenton in the Crimea and Alexander Gardner in the U.S. Civil War, the professional photographers hired to document the war (as well as create to propaganda) were limited by their equipment and the need for military secrecy. Photographs of war from this era were typically photos of the aftermath, or, if action was captured, it was captured from afar, without the immediacy of destruction. 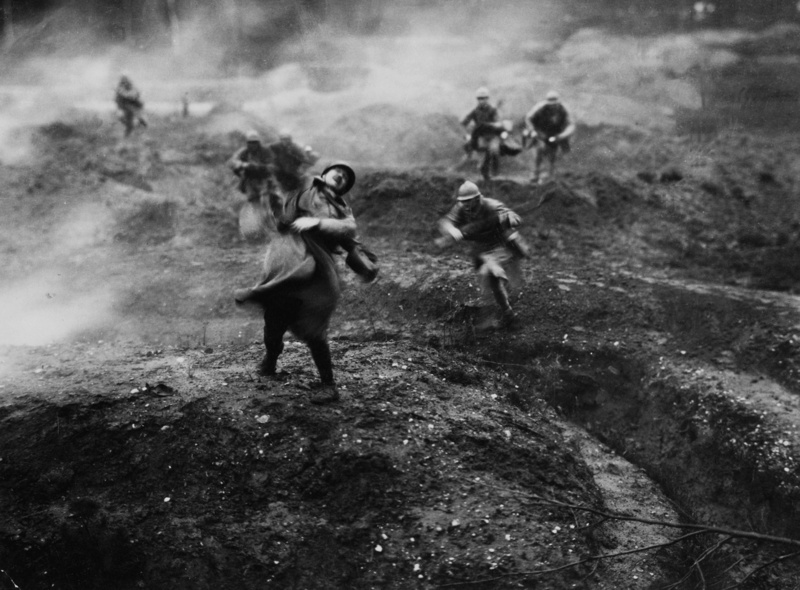 Therefore, in an attempt to capture the feeling of the modern battlefield, professional photographers of the 19th and the very early 20th century often resorted to staging and darkroom manipulation. This Hurley image is a composite made up of several negatives. It’s likely that an unknown photographer took this photo during a drill and not during combat. Likewise, it’s suspected that this Girdwood photo was staged and that the dead Germans were positioned for the US soldiers to step over while advancing. 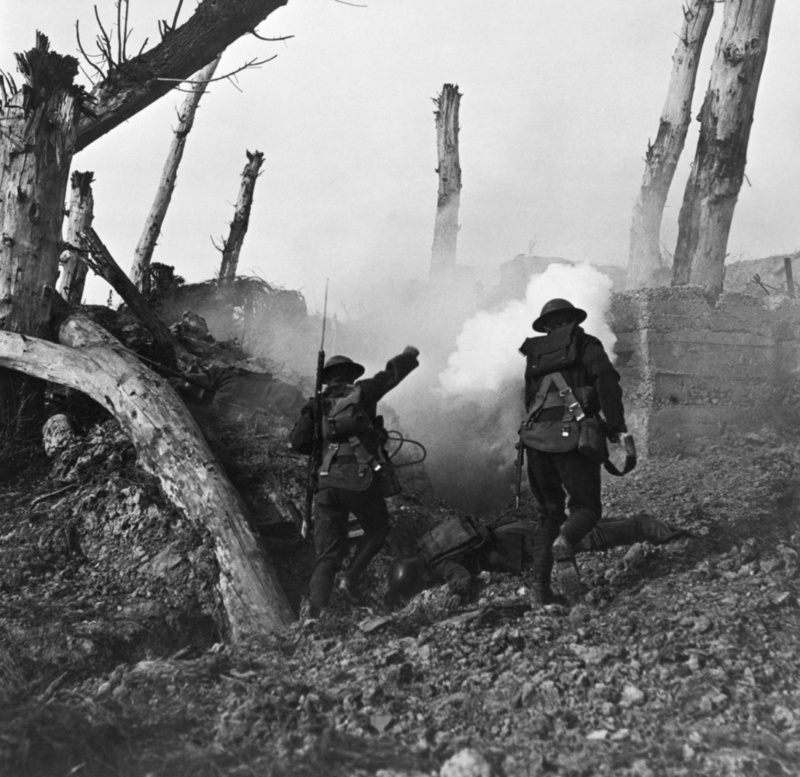 Before moving on, I think that it’s important to note that at one point, Hurley borrowed the coat of a wounded soldier so that he could charge “over the top” of the trenches into gunfire to try to get a better photograph. His manipulation of images shouldn’t overshadow his bravery and the risks he took to fairly represent the soldiers around him. Despite their best efforts, the official photographers simply didn’t have the access or the equipment to get close enough to the action to capture its intensity. Despite Hurley and his contemporaries’ struggles to capture the grit of war, many soldiers found success capturing the fighting using pocket cameras. 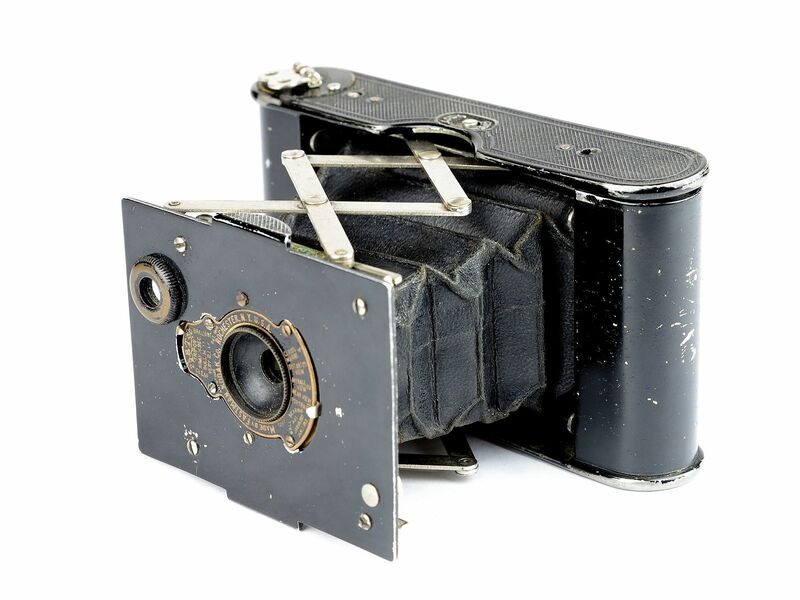 The invention of the Contessa-Nettel and the Kodak Vest Pocket cameras and other similar personal cameras allowed soldiers who fought the war to photograph their experiences. Many of these photographs were sent to family back home. Newspapers struggled to tell stories that weren’t authorized by government. Seeking out and publishing these personal photographs helped the world to see the visceral cost of war as it raged. 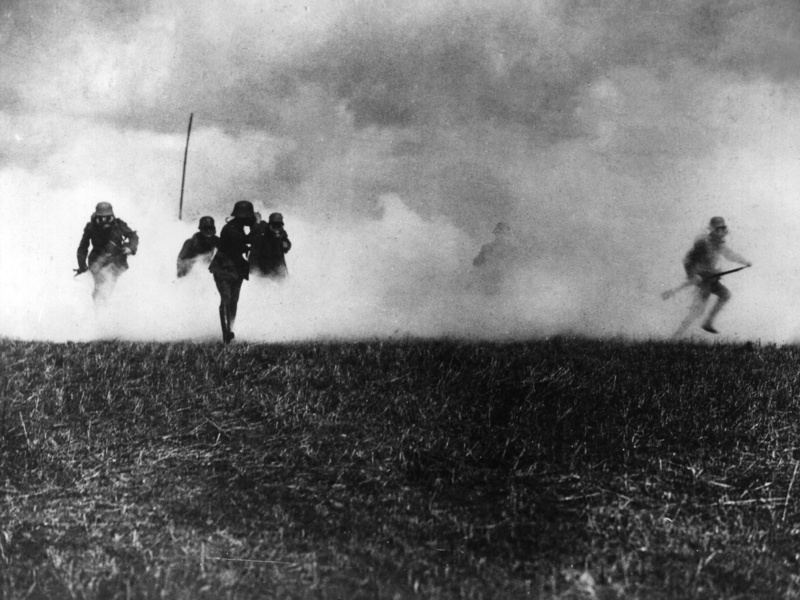 These were two of the very first combat photographs ever taken. 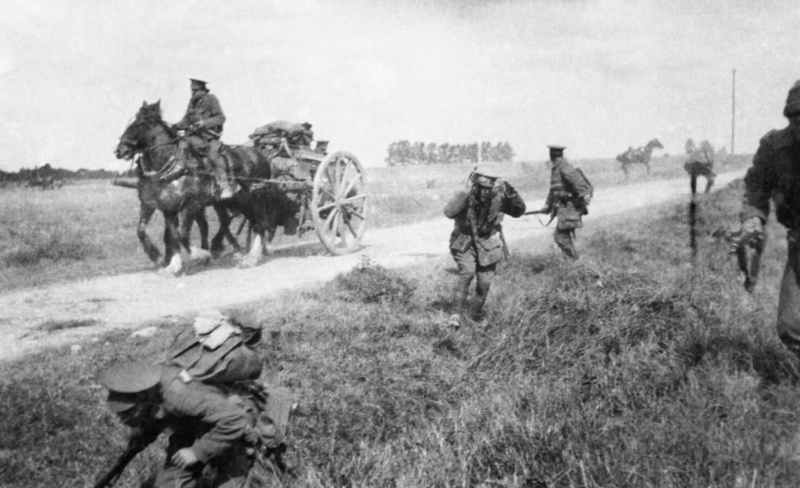 Notice the injured soldier running towards the camera on September 14, 1914. 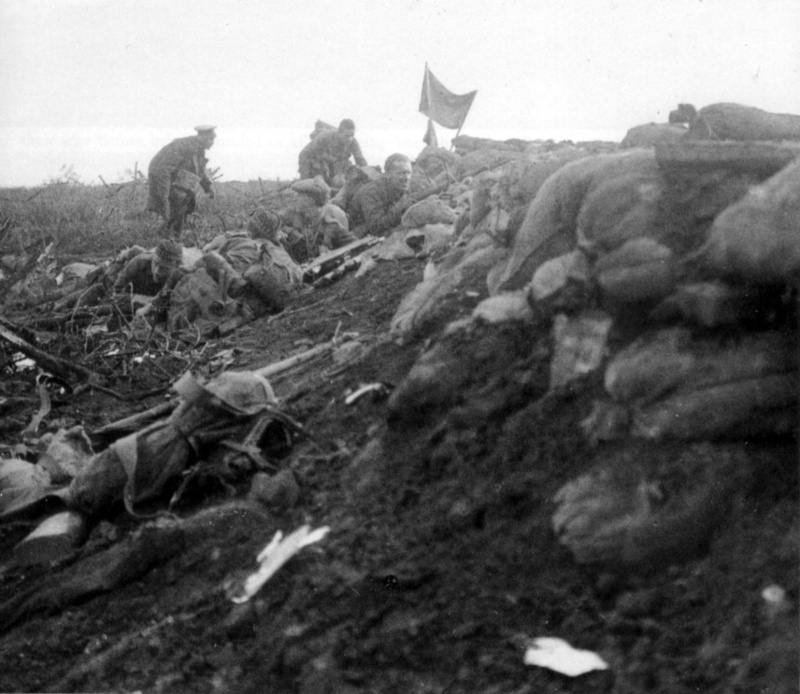 Here you can feel the intensity of the emotion in the soldiers crawling towards the front in early 1915. A German solider, Walter Kleinfeldt, fought at the Somme while just 16-years old. He carried his Contessa camera and managed to capture the following images. 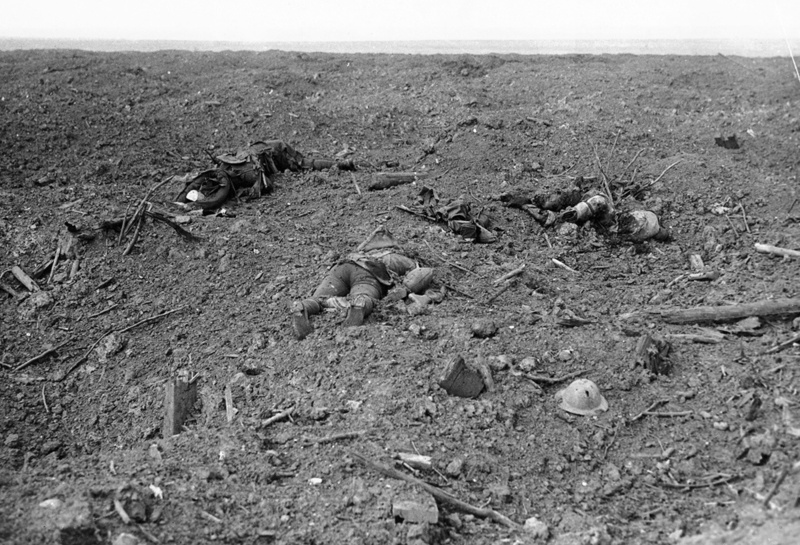 Outside of the bounds ascribed to the official photographer, soldier photographers were able to capture the cost of war. 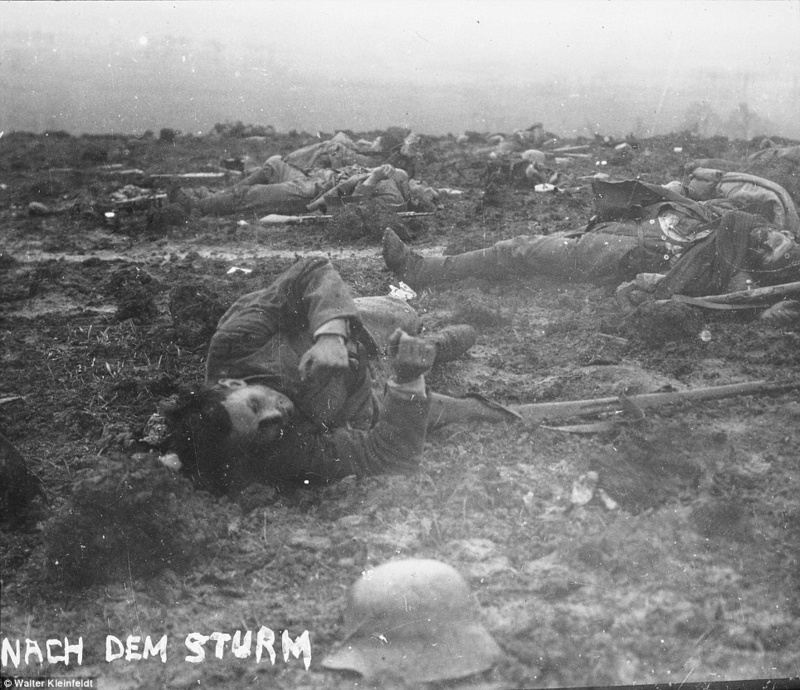 While the official photographs told stories of success at the Somme, soldiers' photographs published shortly after told of the horrific costs: 30,000 dead in 30 minutes, 60,000 dead in a day, and 1.3 million dead in 90 days. The ability to capture the war from inside also allowed these soldiers to tell feel-good stories that were never intended for public consumption. 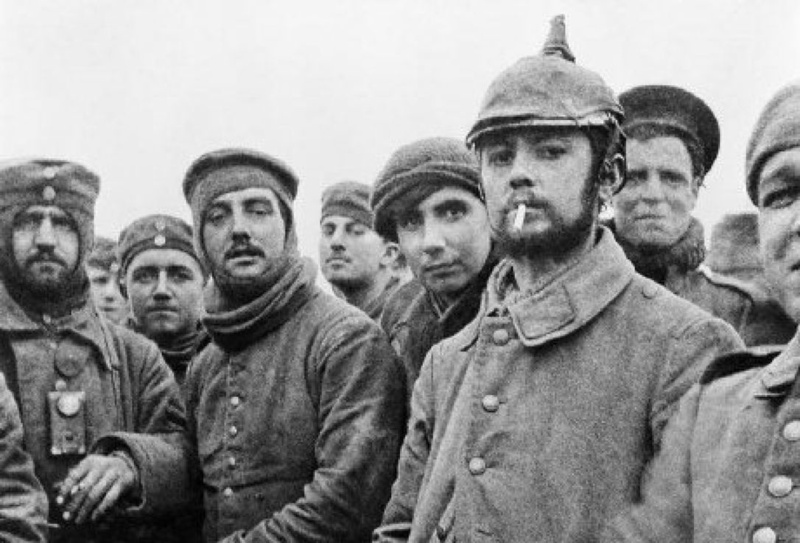 Here, Turner was able to take photos of the Christmas Truce in 1914 that served to humanize the enemy. 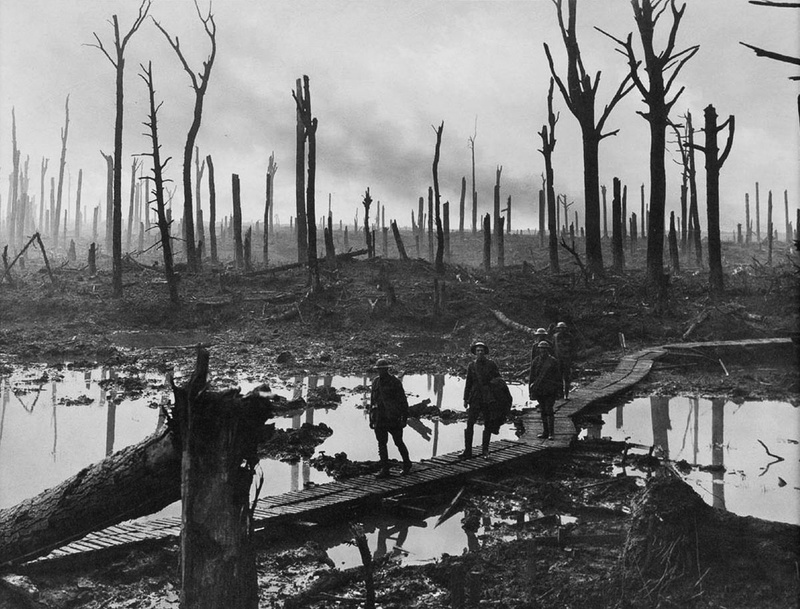 In the end, the path that started back in 1914 has allowed modern photographers to get closer and to ask the same sort of questions that the citizen soldiers asked through their personal photography of World War I: is all this carnage really necessary? All images used are either in the Public Domain or used under Creative Commons license. Check captions for attribution where possible. Happy to provide something you found interesting! 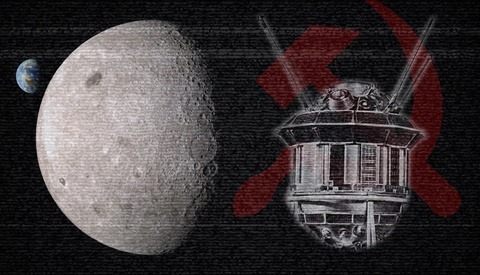 These images are so haunting. 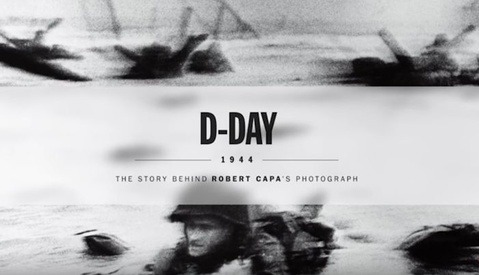 knowing that the photographers were soldiers fighting in the war makes me even more intrigued by the contents of each shot. In many cases the photographer took images of people who were trying to kill them or who they were fighting along side. 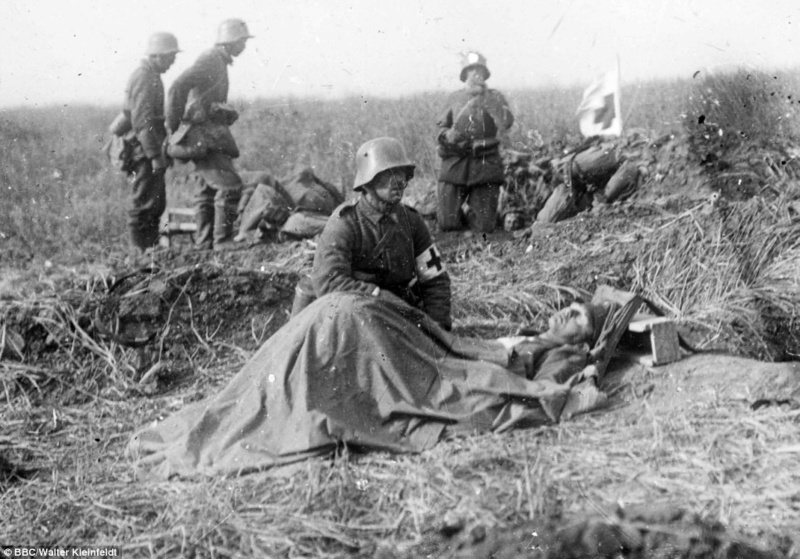 Documenting trench-mates who might not survive the war. They pointed their cameras at the things they probably feared most giving us a first person perspective vs the third person view from a journalist. As a side note related to the Great War and the literal Hell it would have been to experience check out this short video about Drumfire. Agreed that there was a lot of downtime. But the energy it must have taken to zone in instead of zoning out is incredible. Interesting point regarding 1st / 3rd person. The idea that you have to live it to properly capture it has merit! That drumfire is mind bending. I'm unsure how even one person could live through that without PTSD. Incredible stories told from such dilapidated equipment. Definitely coins the term "it's not the camera, it's the photographer"
Agreed. Can't really complain about the latest DSLR when dirty film and glass plates could do this. Moving people around was almost a given in the early days. I agree, kinda creepy. Thank you Mark for this great article. Last I heard they are still dealing with unexploded shells which I would assume would make those killed by them victims of that war. Thanks so much for taking the time to read through with me. I've been to several of the battlefields and even these WWI battlefields still have 'unexploded ordinance' warnings. You're right, the shells still explode every now and then. These days it's mostly sheep, but, still . . . long term stuff. My dad was one who took his camera everywhere with him when he was an RAAF pilot in the 2nd world war.We have a rich legacy of photos he took then and post war as well. Here is a link where I talk about this on my blog. What a rich collection. Thanks for sharing that with us!! Thanks Mark. 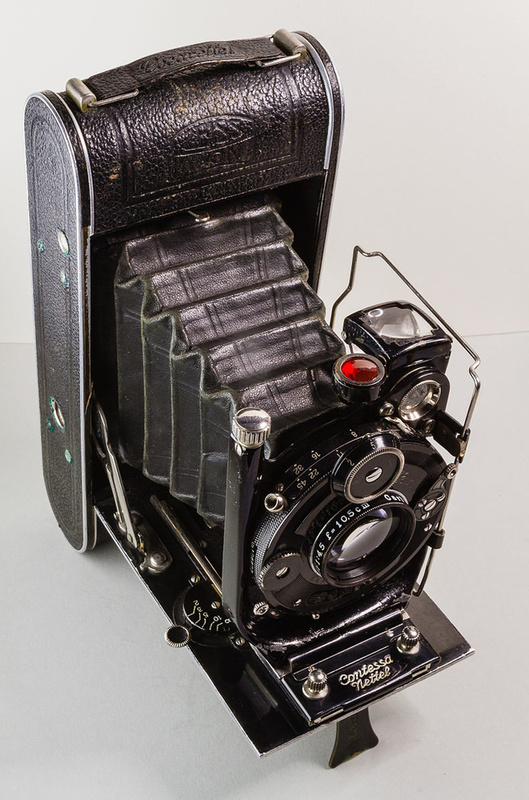 Just in my circle of friends I know some of their dad's had their cameras with them in the 2nd world war. I have one of my friend's dads cameras , a kodak folder, in a Khaki canvas case.I have a plan to do a book of my dad's work one day. Also I have written some articles and posted some pics re one Ross Stanford who also was a distinguished pilot in the second world war and part of the famous Dambusters' squadron. You might like to look at that. Thanks for your article by the way. Wow. Great write up. Fantastic connection! Interesting article and thanks for highlighting the work that these men carried out, but photography in the military started prior to WWI and not for the more 'traditional' uses written here. 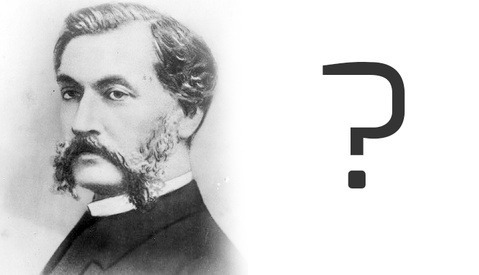 It was used more conventionally for reconnaissance and has its origins in the 19th century. 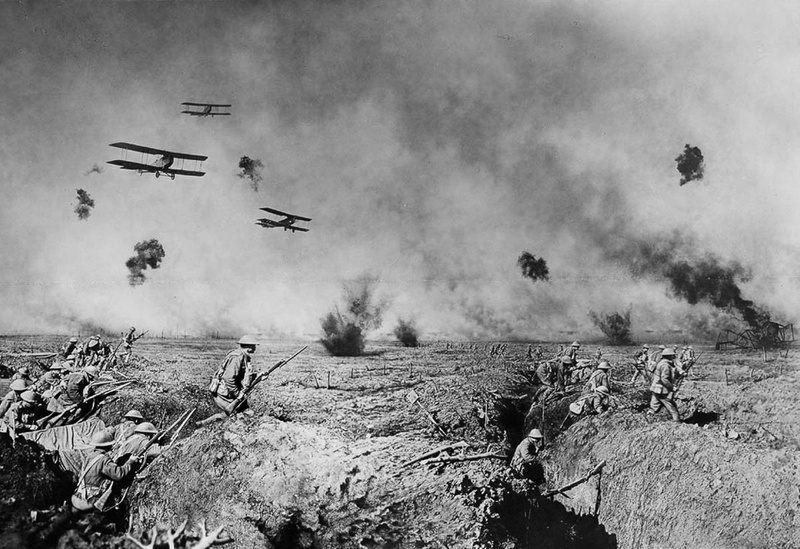 WWI is most synonymous with the birth of aerial photography and the first real recruitment of dedicated military photographers. Worth reading up on the origins of the Royal Flying Corps, the Photographic Unit and how that subsequently developed into the Combat Camera Team you see today (which I was fortunate to be a part of). Agreed, Graham. My understanding is that the British were the first to dedicate an entire unit to taking recon pictures. I wasn’t trying to give short shrift to those soldiers. I was instead trying to focus here more on combat and photojournalism. There are even earlier instances of this type of photography, going back to the Boer War, but the examples are very far and few between. Thanks so much for your comment. I’d love to hear about your exeperiences. That's true as far as I'm aware, though I think photography was actually most prevalent in the US civil war. 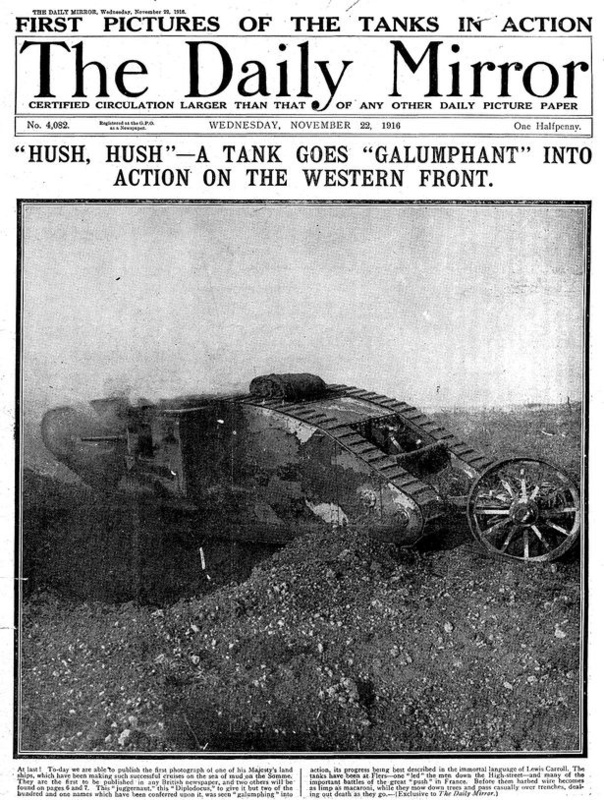 I think that was also the first time that images were used for 'press' to sway public opinion so is more likely the real source of combat journalism. Regardless, its nice to see their work highlighted on this site, so thanks for writing it. I was lucky to have some amazing experiences with some incredible people. Civilian life just isnt quite as exciting for the most part! The US Civil War did see a lot of photography. I love watching Ken Burns’ doc for all the images. I can only imagine the experiences you had. I’m both envious of and glad that I didn’t have those expereicnes. More power to you!!! If you haven't caught it already, Peter Jacksons recent WWI documentary is worth a watch (its available on the BBC I-Player). Not so much a commentary on media in the war but seeing the footage slowed down/colourised makes it hit closer to home. A blessing and a curse for sure, but I wouldnt change any of it! Looking for it now! Thanks for the tip. Very good article. Thanks for writing this piece.